Do Zero-Liability Policies Encourage Chargebacks? What Are Zero-Liability Policies & How Do They Affect Your Business? Visa, Mastercard and other international card networks offer consumers zero-liability as a safeguard against fraud. But the details of these policies are more complicated than most realize. Gross negligence: Cardholders who do not exercise basic precautions to protect their information are not eligible for protection. Delay in reporting unauthorized use: US law grants cardholders up to 60 days to report fraud. Beyond that, the issuer is not required to accept fraud claims. Account standing and history: Most issuers will not offer protection to cardholders with a negative balance or who are behind on payments. The card in question does not qualify: Protection may only apply to personal cards. This excludes corporate or prepaid cards. Standards for determining whether these factors should override zero-liability protections are high. In most cases, the cardholder’s issuing bank will overturn the fraudulent transaction. Who covers the cost of that fraud, however, is a different matter. How Does this Policy Affect Merchants? Zero-liability policies are a consumer protection mechanism. They reassure cardholders and increase consumer confidence in payment cards. The downside is, these policies can affect consumer behavior, leading cardholders to take protection for granted. Card networks require issuers to overturn transactions covered by zero-liability policies. But issuers are not required to absorb the costs. In most cases, the issuer will file a chargeback on their cardholder’s behalf, with negative ramifications for merchants. Zero-liability cards train customers to be “quick on the draw.” When customers notice a strange charge on their account, many immediately assume it was unauthorized. Because the customer is not liable if they report the transaction quickly, most act without considering other options. A common chargeback trigger is the billing descriptor that appears on cardholders’ statements. If this label does not clearly identify the business, a cardholder may not recognize the sale—and assume the transaction was fraudulent. The cardholder might not intend to make an unjustified claim, but acted prematurely because he or she was afraid of fraud liability. Don’t Let Chargebacks Pull the Trigger on You. 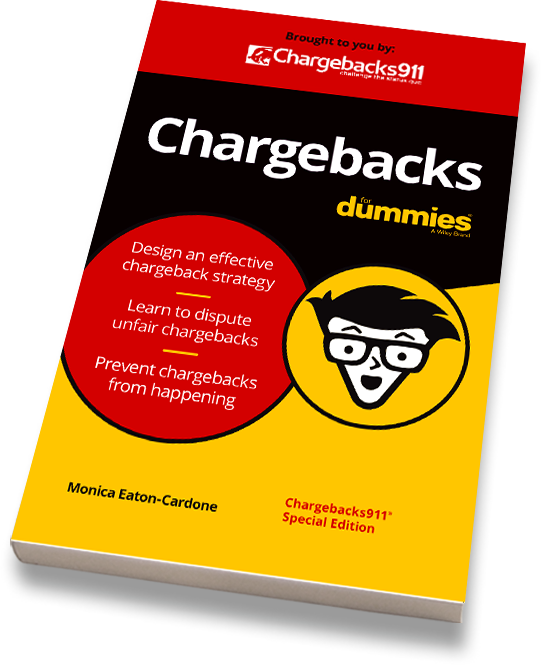 Chargebacks911® can show you how to stop chargebacks dead in their tracks. Click below to get started. Zero-liability policies embolden customers; they expect that they won't be responsible for charges they didn’t authorize. This walks a thin line between unauthorized transactions and friendly fraud. For example, cases in which a cardholder demands a refund after a child (or other family member) uses his credit card information is common. This is a practice known as family fraud. Even though the real cause of the problem was the lack of parental controls, the merchant is still held liable—and loses revenue. The temptation of zero-liability shopping may even turn honest customers into “cyber-shoplifters.” Known as chargeback fraud, this occurs when a cardholder falsely claims that a transaction was unauthorized. Here’s the problem: It is incredibly difficult to determine whether cardholders commit intentional chargeback fraud, or are simply confused. A buyer might believe that a merchant is responsible, even though the merchant is following stated policy. The problem is that the customer failed to read the merchant’s policies, but demanded a chargeback because he believed he was entitled to do so. A lack of liability convinces customers that chargebacks are the appropriate response—or that “nobody gets hurt.” That’s why 40% of cardholders who commit friendly fraud will do so again within 90 days. As more chargebacks occur, issuers have fewer resources available to conduct due diligence and identify friendly fraud. More and more unqualified requests slip past mechanisms meant to filter them out. This empowers a “chargeback-feedback” loop. Successful friendly fraud incentivizes cardholders to commit new friendly fraud attacks. Unfortunately, issuers generally refuse to recognize this problem. Most write-off friendly fraud as a rare and marginal threat. That’s because they are not able to identify most cases—or grasp the scope of the problem. When Good Policy Goes Bad…Call the Experts. Insulating cardholders from fraud liability isn’t a bad thing, but limited oversight and higher customer expectations are a toxic combination. Together, they can turn zero-liability cards into a $40 billion annual chargeback problem for online merchants. These industrywide policies aren’t going away. Instead, merchants need to adjust to them and adopt new solutions. Chargebacks911® offers the industry’s only proven solutions for friendly fraud. Other services treat friendly fraud as unavoidable or minimize its role. Chargebacks911 can help you eliminate the source of friendly fraud—so you retain more revenue and build stronger relationships with your honest, repeat customers. It’s the best possible solution: reduce fraud and increase profits. Zero-liability policies don’t have to cost you money. Let Chargebacks911 show you how.